Two cartes de visite (CDVs), each measuring 2.5 x 4.25 inches. Photographer in both cases is J. H. Nason of Chicago, Illinois. Otherwise undated and unidentified. I guess I’m stuck on a bit of a theme lately. After this post and this post, here is another featuring two different people photographed by the same photographer in approximately the same time period. 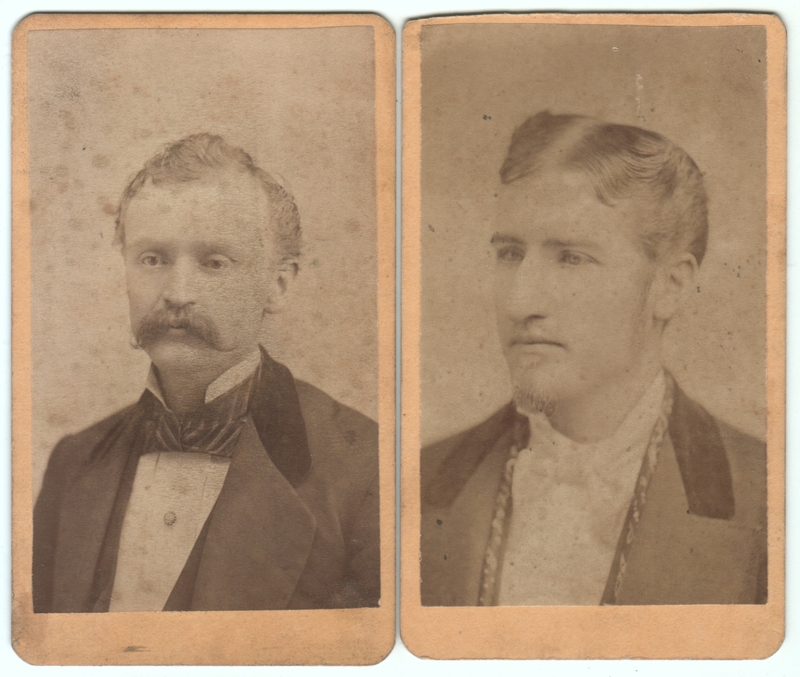 They were purchased together among a bunch of photos in the same eBay auction. As with the other posts, I’m left wondering about the possible connection. Did these men know each other? Were they related? Is this just a big coincidence? Hard to say. Could be. Or else the men had very similar tastes.